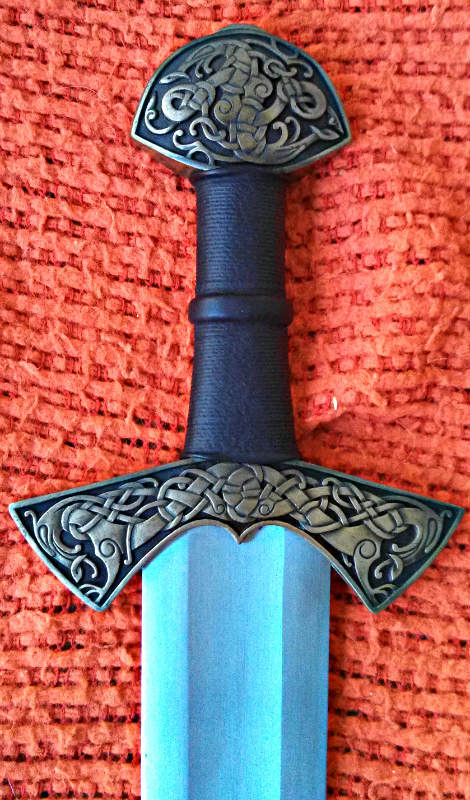 Although i've now changed the scabbard it's a very nice sword. Great for teaching with and demonstrating as well as slashing up the battlefield. Connect four in sword terms gentlemen speaking of which I missed Lindesfarne this year but if anyone here went, post yer pics! dying to see them! 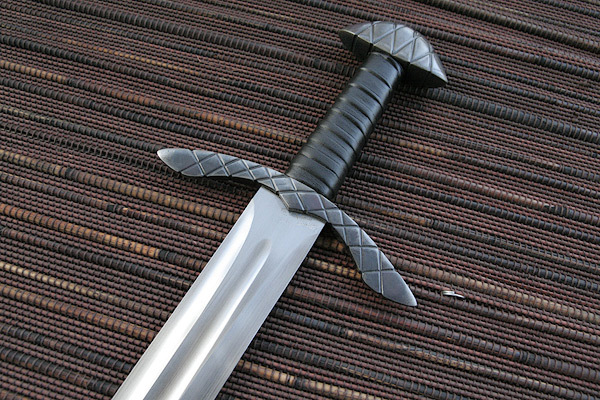 Robert: The sword, second from the bottom. Isn't that one based on a find well after the "Viking Age"? 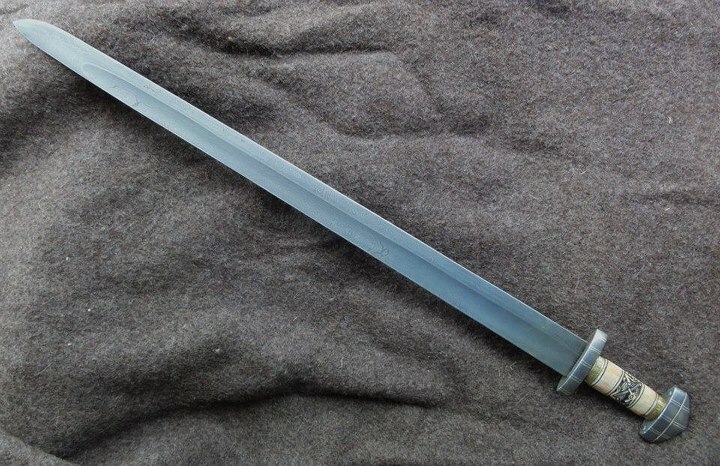 If you're referring to the one with the rather elongated curved crossguard, it, to me, looks a lot like the Cawood Sword, which as I believe is from the late Viking age. 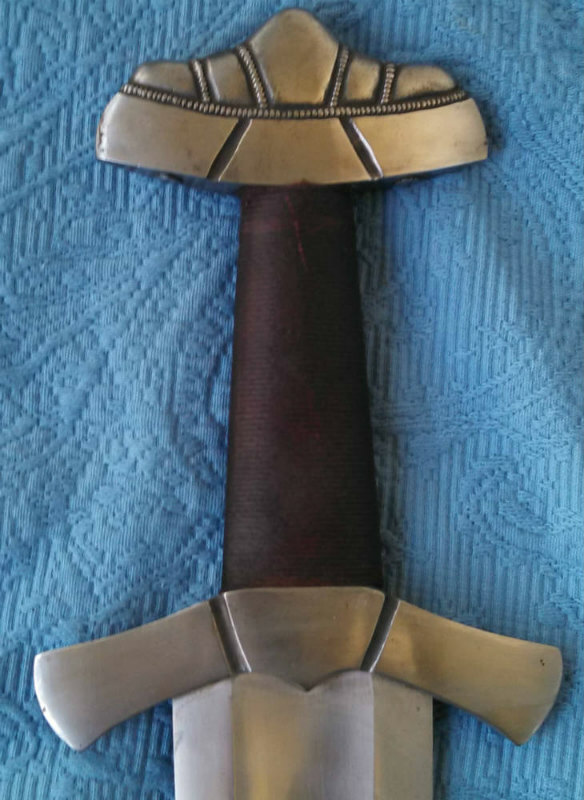 Although I don't have Viking swords I must say that David's Ulfberht sword looks great. Got to love it! Great thread, love all. Keep em coming guys! Most of mine. Sorry for the few viking fantasy swords in the mix. Wow that langseax is massive! 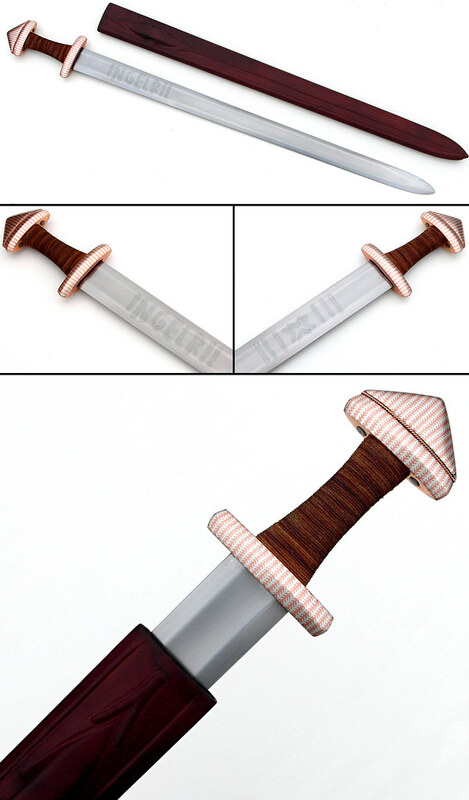 Patternwelded inlay in the blade and copper and silver inlay on the hilt. 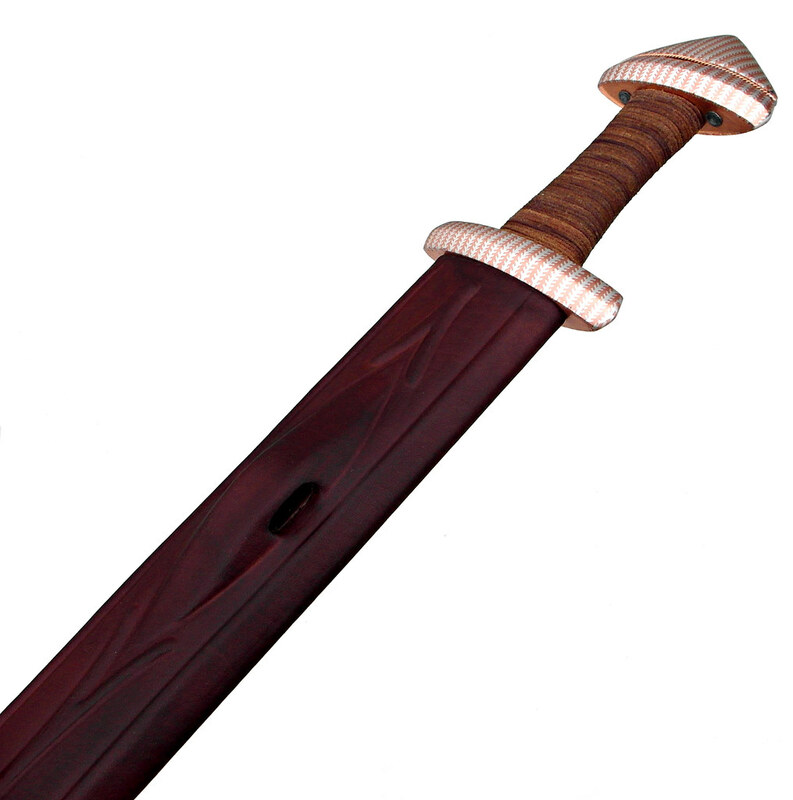 Covered bridge, wool lined scabbard. Early in this thread I posted an Albion Europe photo of my Valkyrja. Since it's better to put up your own photos, here are a couple that I took. 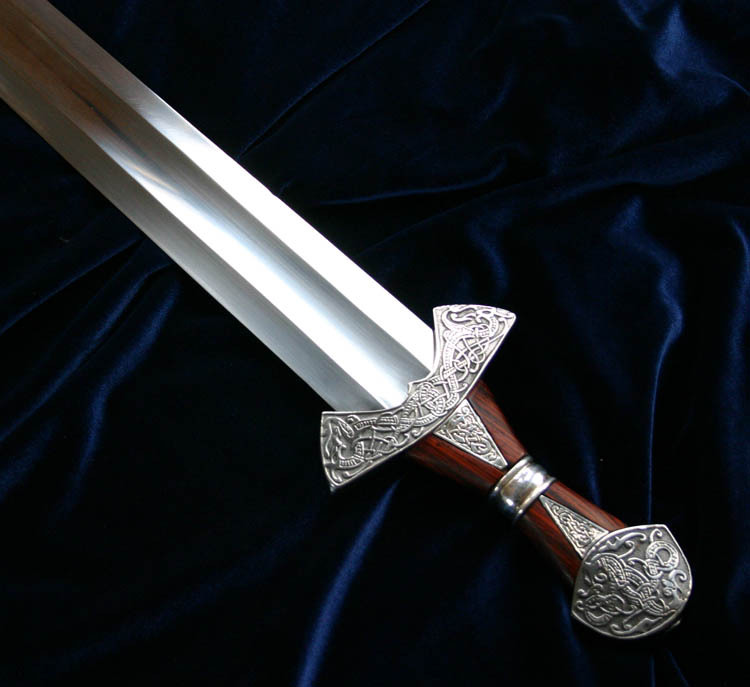 I love your viking sword. Really beautiful. How is he grip done? Is it thin cord wrapped? I bit different treatment than what we are used to seeing and I think it works great with the overall sword. 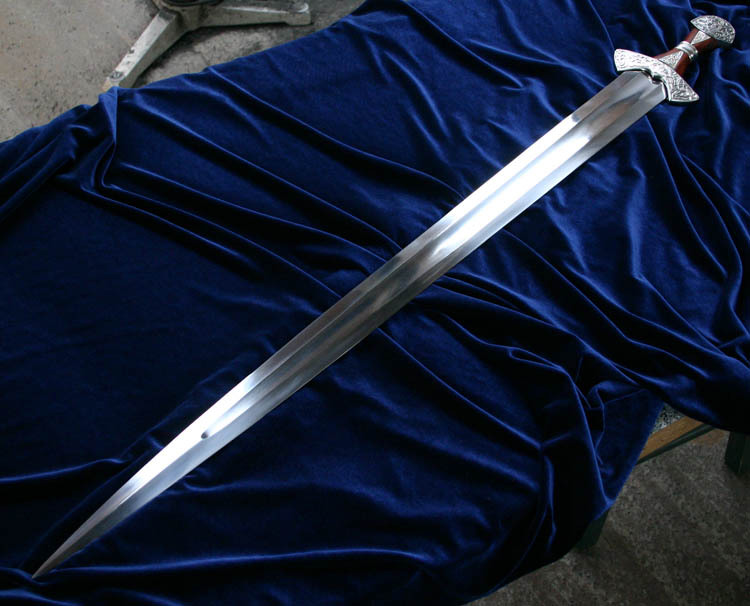 IIRC, Albions swords are leather glued over a wooden core, and then thin cord is wrapped tightly around the grip until the glue cures. When the cord is removed, the indentations left by the cord is permanent, leaving a very attractive and grippy surface. Its the same on my Albion NG Squire. No, Bryan is right... In this case it is a long leather cord wrapped around the grip as the actual grip surface itself. My bad, I misread and thought he was was asking about the sword in Roger Hoopers post. Thanks for clearing it up.